Last fall, a House Judiciary Subcommittee held a hearing on transparency in asbestos trust claims. As expected, that hearing foreshadowed the introduction of new asbestos legislation. The legislation, known as the Furthering Asbestos Claim Transparency (FACT) Act of 2012 (H.R. 4369), was recently the topic of another hearing. 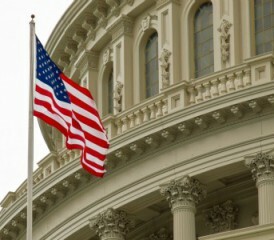 It represents the first time Congress has taken up the issue of asbestos compensation in years. But before you get excited, keep reading. The FACT Act would amend the U.S. bankruptcy code by creating a public reporting requirement for asbestos bankruptcy trusts. The trusts would be required to file quarterly reports with the bankruptcy court containing detailed information on asbestos trust claims. Reports would be made available to public. Information contained in the reports would include the name and exposure history of each claimant and their asbestos exposure history. If requested, trusts would also be required to provide asbestos litigation defendants with claims payment information. It’s not clear how useful this bill is to anyone other than asbestos litigation defendants. What is clear is the bill doesn’t propose a national compensation system to benefit asbestos victims. Congress has tried multiple times to pass the Fairness in Asbestos Injury Resolution (FAIR) Act. That legislation would have offered a comprehensive solution for compensating asbestos victims. The FAIR Act was last introduced in 2006, but it never became law. Unlike FAIR, the proposed FACT Act isn’t even concerned with compensating victims. It’s just an effort to compile information about how much trusts are paying claimants. The bill’s supporters, mainly asbestos litigation defendants, say it’s needed to keep plaintiffs from “double dipping.” They claim that giving them access to trust claim details will prevent claimants from recovering twice — once from trusts and a second time from lawsuits. The trust system is separate from the litigation system. Claimants have the right to recover from every defendant responsible for their injuries. But trusts only compensate claims against companies who’ve gotten bankruptcy protection. A claimant can’t settle with a company through a trust and then sue the same company in court. That’s the whole point of bankruptcy protection. For more information, see my earlier post on the trust claim process. Trusts already prevent abuse. Trustees manage their assets for the benefit of current and future claimants. This means they’re obligated to make sure the trust has enough to pay all claims. That’s why trust procedures are designed to avoid fraud and abuse. Asbestos lawsuit defendants already have access to trust claim information. Defendants can usually get the information through discovery. Some states even require plaintiffs to disclose information about trust claims when they file their lawsuits. Plaintiffs face penalties if they don’t. So what would H.R.4369 really do? Apparently, it would just let asbestos defendants bypass court procedures to get information on how trusts distribute their $36 billion. The truth is this: the court system already gives asbestos lawsuit defendants access to whatever information they need about individual trust claims. Defendants just want more information about all asbestos trust claims, including claims by people who haven’t sued them. And they want the convenience of having trusts foot the bill to provide the information. What Do Victims Have to Say? I was concerned that last fall’s hearing didn’t include input from asbestos victims. Fortunately, the subcommittee did a better job this time around. Next week we’ll look at claimants’ input and how it could affect the chances of H.R. 4369 becoming law.